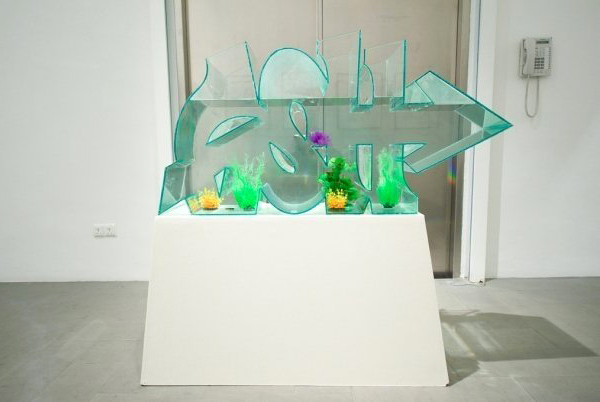 London artist Dean Zeus Coleman (aka Zeus) is known for redefining traditional graffiti with his three dimensional sculptures, paintings and typography. 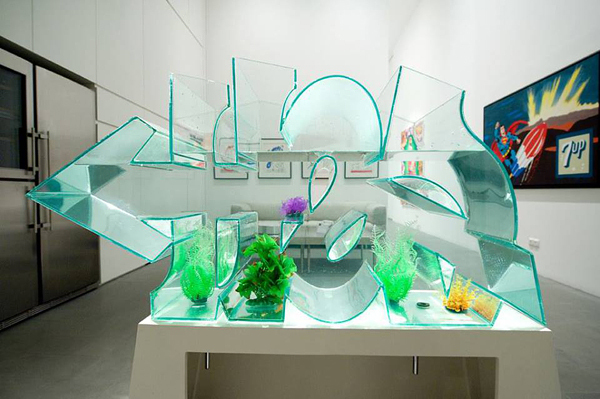 One of his unusual projects is the following fabulous three dimensional graffiti typography fish tank. 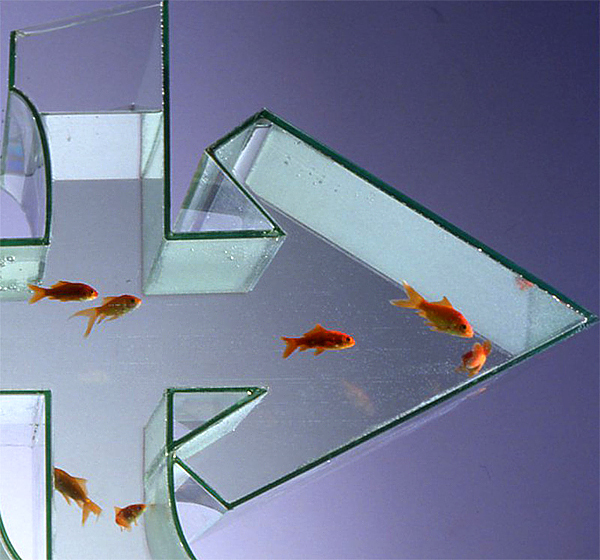 Definitely unusual and perhaps this small detail will make your interior perfect. 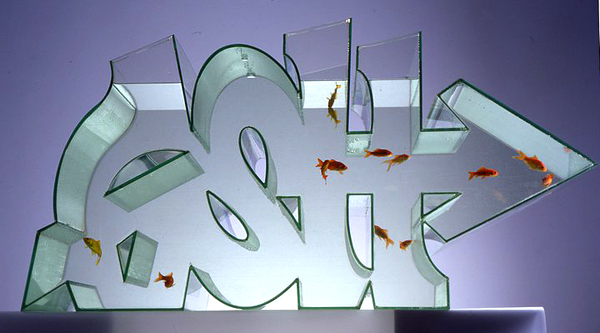 If you like fish of course. And if you won’t be scares by the volume of work on its cleaning. Have fun! And also we would recommend you to check other incredibly beautiful and rare fish: Top 10 Most Expensive Fish In The World.